There are certain things that you need to know about increasing traffic to your website. These are all very important because attracting more people mean that your website will stay for a long time in the search engine. Here are some tips on how to attract traffic. This tip allows you to link your website to external pages linked to yours. By doing this, the landing pages in your site that contribute ideas to certain topics should be related to their topics. Being a blogger, you need to link your site to these pages. This gives you the opportunity to help these pages to improve their search engine standing while helping yours gain more readers. However, you have to of these links you can attach your site too. Here are other reasons why you have to interlink your site to some of your internal pages. It improves the authority of your page. Search engines like to have fresh content on the websites they hold. The reason for this is that fresh information is better than old. It is important to update your content to add to its’ authority. There is a score given everytime content in a website is updated and published. The score diminishes in time as it gets old. Make sure that all the internal pages can be indexed. By doing this, other search engine spiders will have an easier time landing on your page. If you start blogging you need to have search engines to be able to index it. In this case, you can alert to higher authorities. The best thing to do is to when you are composing your website content, you have to think of the words that people might search and connect to your site. The page you are putting up must have essential keywords. In this way, you have a bigger chance of getting more traffic to your page. A simple research will do the trick. Once you start creating additional pages for your site, you have to put keywords also in them. 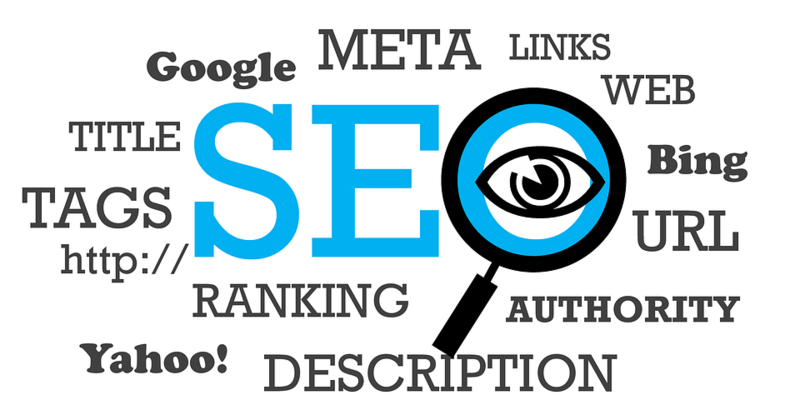 Any search engine will be a big help with coming up with keywords. Once a person starts typing inside the search box, suggestions will start to appear in the form of words or phrases that others use. You can use tools that have a list of the most used keywords. This will show you how many times keywords have been used. Located just below your websites’ URL, you will find a 160-word description of your site. This is called Meta Description. It provides a summary of what they can expect when they go to your site. It should be interesting enough to make them curious and lead them to open your page. Descriptions with leading words like ‘know more’ or ‘visit’ are more effective in leading people to satisfy their curiosity. Almost everywhere you go on the internet has images posted. One of the mistakes newbie bloggers commit is they never tag the images they use. Indexing sites need you to tag these so they will know when it will be used. If there are no tags on it, the search will not acknowledge their presence. Some web hosts are armed with software that makes you remember to tag to put labels on your images. It will be easy for the search engine to identify the use of the image, put an index on it, find a place to store it, and when to use it during searches. Posting a web content has evolved through time. Back in the day, they post their content and that is it. Today, they research on techniques that will help them generate more traffic. One of these is to find out the most common keywords being used. Keywords that lead to the conversion of visitors from readers to buyers is what they want to aim for. For this to happen, you need to do some research on which words will do this for you. In this, you will know which words to put in your content and these will attract more traffic to your site. Post with a reason. There is a ton of marketing chances offered on social media. However, it is best to define first your goals before you use them as part of your marketing. Select the social platform you need to choose. Most of the business owners on the internet already know how to pick the apt social platform for their product or service. That is because searchers use these sites to find the information they need. Promoting your work. This will enhance your presence because promotion means visibility to possible customers. Observe at what other business owners are doing. Look what the social strategies that have brought in results. In the same way, you also have to look for those you have to avoid. These tips will help you draw traffic. Vincent Hill is an expert writer who writes on different categories like how to start a blog, content writing, blog design and much more. His writing is not only descriptive but also meaningful. He loves to share his ideas on different categories.